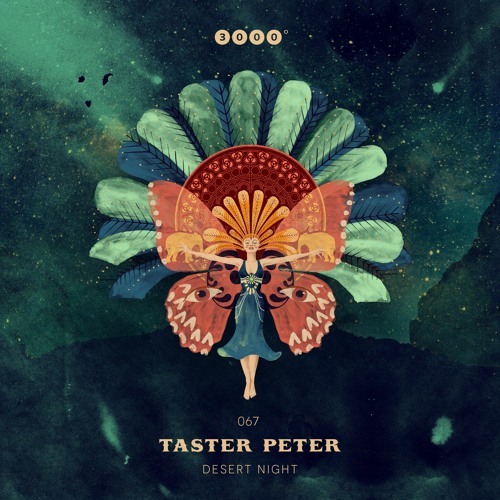 OUT ON 19/04/19 Exclusiv on >> Beatport: http://bit.ly/3000GRAD067-BEATPORT @tasterpeter | @mollonobass | @elfenberg Desert Night: Monumental space undulating in the pale moonlight, simple yet full of ruffled, organic textures if you have a closer look. Taster Peter created a very similar atmosphere, but for the dancefloor. The tribalist, percussive groove and the hypnotic rustling of the open hi hats are as ancient and timeless as the spirit of that desert, while the opulent acoustic pressure of the production is an epitome for modern times. A track made for those moments when a party really starts moving. The same goes for the intoxicating minimalism of the Mollono.Bass remix. Oracle is the perfect counterpart, as the cinematic melody and trippy sound effects aim to create a maximum of momentum inside the mind of the listener. The remix of Elfenberg uses a flowing bassline to turn this tune into a vision of understated ecstasy and progressive bliss.